Regular Rate $2297 . Today Only $590! The Grand Sirenis Riviera Maya Resort and Spa has been ranked as the #1 snorkeling resort in all of North America. The resort has 5 spectacular virgin beaches, making the location the best on the entire Cancun Mayan Riviera. Plus, the largest coral reef on the Mayan Riviera is situated directly in front of the resort`s beaches. It is perfectly accessible to swimmers, and of immense interest to snorkelers and anyone experienced in deep sea diving. The Yalku lagoon where the resort is located is connected to the sea, and the combination of sweet and salty water provides the ideal conditions for parrot-fish, huge sea turtles, and thousands of other colorful tropical fish. Also located on site is a new Dolphin Park which provides guests an experience of a lifetime.. Set along the eastern shores of Riviera Maya, the Tulum-Akumal dolphinarium is a saltwater lagoon with breathtaking panoramic ocean views. Also located on the resort is a cenote which is an ancient natural cave formed by subterranean water, and because of the natural rock filtration, has an incredible high level of purity. Enjoy the spaciousness, comfort, and elegance of the magnificent Junior Suites in the Grand Sirenis Riviera Maya Resort and Spa! The Resort offers beautiful gardens, swimming pools, whirlpools, and stunning beaches. All of this and more combine to make the perfect location to enjoy a snorkeling adventure, a relaxing swim or just delight in the luxury amidst a fresh and serene atmosphere. Daytime activities are on hand to ensure fun all day long! And of course, an evening entertainment program, including spectacular shows and acts, is available every day. The resort features a full program of activities in the Mini Club, a lazy river and everything imaginable to let the younger ones enjoy their vacation in the Caribbean, while the adults relax and let their cares drift away on the breeze. Take time to unwind and enjoy the Brand New Spa, which boast the following facilities: Gym; Outdoor swimming pools with current, foot massage, waterfalls, and massage jets; Wet area with sauna, Turkish baths and perfumed baths. A Paradise Surrounded by Nature, Mayan Ruins, Beautiful White Sandy Beaches and Crystal Clear Water, and Coral Reefs. Enjoy The Flavors Of 7 Restaurants On-Site And 6 Are Included In The All-Inclusive Plan. We arrived to be greeted with a glass of Champagne! The people at this Hotel are the best we have ever met, so friendly and helpful. The rooms are more than perfect. The All Inclusive means ALL INCLUSIVE - ask for any drink and you wont be asked for a penny. Food and the A la Carte Restaurants - TOP MARKS. This was our best vacation ever and we shall definitely be going again - just as soon as we can. The Junior Suite offers one king bed or two double beds with air conditioning, alarm clock, balcony / terrace, bathroom amenities, cable / satellite TV, ceiling fan, color TV, disabled facilities, en-suite / private bathroom, hairdryer, internet access ($), jacuzzi / whirlpool / spa bath, mini bar, non-smoking rooms and telephone. Relax and enjoy your holiday in one of the Luxury Junior Suite, All the rooms have Living area with sofa bed. Enjoy international cuisine in the themed restaurants situated in the resort, and a wide variety of dishes in the buffet restaurant, which boasts wonderful views. Best family vaction ever! Thank you BookVIP for making this happen! The On-site Dolphin Discovery was an experience of a lifetime - thank you BookVIP! We've had a wonderful time. We could not have asked for a more pleasant resort. The snorkeling is amazing. The best I've ever seen! Just unbelievable. We booked through BookVIP and it's been outstanding. Their service was wonderful. We told the staff members at the Grand Sirenis what we paid for our all inclusive stay and they were blown away! We dont want to go back! Thank you BookVIP! The Grand Sirenis is full of activities and you can't get better than the scenery. We got a great deal through BookVIP. We've enjoyed the beautiful Caribbean ocean. This has been an ideal getaway for us. We had a fabulous time. Loved this place and highly recommend it! This is a Mexican-rated 5 star property (there is a big difference between Mexican ratings and those from Canada, the United States and the United Kingdom). This is not the Ritz Carlton, the Four Seasons, the Fairmont, Marriott or anything close. Those would be Mexican 5 DIAMOND rated properties and if you are expecting that kind of luxury you will have to save up quite a bit more money than it will cost you to stay at the sirenis. If you have realistic expectations I think you will quite enjoy your holiday. This was my 7th trip to Mexico and my 4th trip to the Mayan coast. I thought the Sirenis was quite deserving of their Mexican 5 star rating (which to me translates as above average). It is a beautiful hotel with Mayan-inspired architecture with a modern flair, absolutely gorgeous grounds and excellent facilities, all meticulously taken care of. 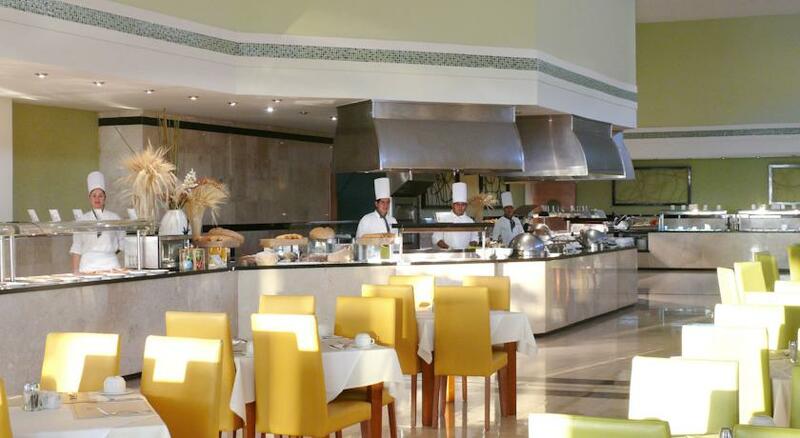 There are many options for dining including self service buffets and seven a la carte restaurants. Their dedicated staff are well trained and second to none. The property is well located to visit numerous local area attractions. The property is well serviced by safe, clean and inexpensive public transit mini vans. It also boasts several extras I have not seen at other area hotels such as a shuttle service for getting around the resort, specialty coffee shop with all types of hot and cold coffees, ice cream parlour, and very interesting snorkelling right from their beach. We had a wonderful experience at the sirenis. They went all out on their Christmas celebration and we had the best carefree Christmas holiday ever. We enjoyed the pools, the beach, our meals, the libations, the evening entertainment, our beautiful room and even hit the disco one night which we haven't done in years. We were treated like VIPS and received excellent service from all staff we encountered. We felt very safe inside and outside of the resort. A word about the time share - it is actually a vacation club and if you travel to resorts at least once a year you may find it a very interesting proposition. We did and felt it was a worthwhile investment. We look forward to many years of enjoying vacations both at the sirenis and other resorts around the world. Useful info. When you arrive at the airport your tour provider will be located outside the front door. They are not permitted inside the airport. You may be tempted to buy a beer from the outdoor bar as you exit for 6 dollars, but if you can wait 15 minutes till the buses get rolling, you can buy beer on board - 2 beers for $5. Bring a good supply of small bills for tipping bus drivers, bell boys, etc. Men need long pants for a la carte dining. Otherwise nobody gets very dressed up. Most women wore Capri pants or simple summer dresses to dinner. Almost none wore high heels. The buffet is loud and the ambience as mentioned earlier is pretty bad. Sit outside on the terrace. It is lovely and quiet and you can hear the singer from the lobby if the timing is right. The outside temperature is usually comfortable by evening. The service tended to be slower outside but worth the wait. Ocean view upgrade is significantly cheaper on arrival at the hotel rather than booking in advance. The area excursions are quite pricey (100-120 US dollars per person). They are well worth the money, but If this is beyond your budget you can take the public transit to visit akumal, tulum and/or playa del Carmen for the cost of the bus and lunch (bus is roughly 35 pesos per person). There are a lot of children at the resort. Third floor rooms are quietest since no room located above, but you will have to be conscious of any noise you may be making for the neighbours below. Ladies pack an umbrella. It often rains early evening when you need to walk to restaurants for dinner. Shuttles were always full at this time of the evening. Snorkelling is awesome. Bring your own equipment. Ocean is best to the left of the ruins. You will have to rise early to reserve the best seating on the beach. Do not sit in area by volleyball net unless you don't mind a lot noise and yelling once the games get going. The hair dryers in the rooms are small and have low watts. Take your own if you require better. You can barter with merchants. Do not pay full price. Smile, relax and enjoy everything on offer. Relax! You are on vacation!! We have just returned from our fifth trip to the Grand Sirenis Riviera Maya. We love that resort! We like the ice cream shoppe, lazy river and the fabulous coffee house. The snorkelling is great as well as the pools. The food, beverages, and the beauty of the natural surroundings make this a great place to come to relax and have fun. We think that the staff in wonderful. Our favorite restaurant for breakfast and lunch is the El Rancho which doubles as the steakhouse at night. Oscar Pech is the captain. He is an incredible gentleman who provides such excellent friendly service. Roman Tuyub is like the energizer bunny. He is always smiling and has a great sense of humour while providing efficient fast service. We always have such a wonderful holiday and so much of it is attributed to the very attentive staff in all areas of the resort. My family and I recently stayed at Grand Sirenis. I was very impressed with the professionalism and courtesy of every staff member. The buffet had plenty of variety and the ala carte restaurants were also very good. The rooms were clean and comfortable. The beach was natural of the area so lacked the white sands you would find further north but was well kept. "Another fine stay at the Sirenis"
We were back at the Sirenis for the 4th time, in late October 2013. This time we went with a large family group. We are members and continue to greatly enjoy the resort. The rest of our family all gave a strong thumbs up as well. As always, the resort offered great snorkeling (saw lots of fish, turtles and even stingrays), a fine ocean swimming area, very pleasant and hard working staff (kudos to Ramon at the main dining hall buffet), enjoyable a la cartes, decent buffets and lots of drinks, smoothies and ice cream. One important consistency is being able to eat any of the food without worrying about getting ill, a real possibility in Mexico. There is always lots going on if you're looking for activities, and the evening entertainment is decent (and located in a fine huge open air theater). We tried to go off season for this trip, but the resort was still busy, though never overcrowded. You can always get lawn chairs at the beach anytime of day. Pool chair saving starts early though. We found the resort a bit rowdy this time, but there is a large very long quiet pool to hang out at if you want, plus a lazy river where the kids spent hours. Turns out October to early November is rainy season, and when it rains it really pours, though not usually for the whole day. We continue to strongly recommend the Sirenis having had 4 enjoyable stays there. I always note that there is not a long endless expanse of beach to stroll, but for exercise walking or jogging the resort from the spa to the disco and back is plenty long enough, plus they have a decent gym. Plenty to satisfy a variety of people with different tastes and interests. We'll probably explore another resort or two before going back just for variety, but our favorable opinion of the Sirenis remains strong. "Awesome place with amazing people"
I have stayed in Sirenis from Dec. 17 to Dec 24. I stayed with my mom, and I hoped this place would help to heal my mom because she had been sick for about half year. The place was very clean, well organized and beautiful. I would never forget the gorgeous beach around the resort. Mostly everyone who worked in the resort was gentle and had beautiful smile. Especially I would never forget Laura who works in the guest service, because she helped a lot when we met a big problem. Also, Diego who works in the premium members also kindly answered to our questions. This place was good for healing my mom. After staying in this resort for one week, my mom became healthier. I believe delicious foods also affected greatly to heal my mom. "Beautiful resort with excellent service"
Our family of four (kids ages 9 and 8) vacationed at the Grand Sirenis from December 2nd to 9th, 2013. We had a wonderful time. My kids enjoyed counting the number of times they spotted a iguana and other native animals. The rooms were standard fare but clean. The food was fabulous with its variety and freshness. I appreciated the easy access to the health bar, located by one pool and near the beach. My husband and kids mainly hung out by the pool, near the ice cream bar, though my 8 year daughter especially loved the lazy river. I enjoyed the beach and snorkelling, though there were many red flag days so poor visibility. Kudos to two staff, Alex and Luigi, who relayed a great snorkelling spot within 7 minute walking distance from the hotel (and Yal Ku is closer than you think!). My husband and I did attend the spa for a couple's massage. Anyway, I would highly recommend this resort and would book another vacation there again. "Great Memories and New Friends!" My husband, teenaged children and their friends visited the Grand Sirenis in Mexico in August 2013. As a VIP member, the service and friendliness of all the staff is incredible. I love walking into the resort and being welcomed by the Concierge using my name, it is a great feeling! This resort has become a second home to us, we love the beach, the pools, the spa, all of a la carte restaurants are perfect and the breakfast and lunch buffets have something for everyone...I can't imagine anyone struggling to find something that they like. My children and their friends enjoyed the entertainment on the beach with Beto and the disco at night. They loved the pools and the beach, I never had to worry about them. They had their own rooms, they did what teenagers love to do, party then sleep in a bit in the morning which was fine because I was confident they would be safe on the resort as everything is closed off and they were shuttled everywhere. I couldn't have been more happy to know that the girls and their friends loved their vacation and want to make an annual tradition of it! As we do each visit, we made some new friends and we took a trip to the spa together to celebrate. Having access to the spa daily is just an added perk enjoyed by all. Thank you to the Sirenis Family for making our trip even better than the last! We love you! I travelled on 7/12/13 with my husband and had read some reviews on here, so here's my opinion. The hotel is great and the fact that they are trying to keep it Eco Park'ish means that it is surrounded by what we described as the jungle! This is brilliant as we saw all sorts of wildlife the butterflies were almost as big as saucers we saw monkeys, raccoons, agoutis, coatie mundies (not sure if that's how it's spelt?) We swam with sea turtles in the bay at the resort and few some really big fish there too! We had some cloud cover and also some rain but this is quite a tropical climate so to be expected sometimes! The staff are great always smiling and happy cannot do enough much for you just like to mention Marcella and Andreas who were the concierges in our building they were really helpful as we're all the staff, also Primativo who made me great omelettes for breakfast! The food is very good, the only thing I got fed up of was feeling too full! The breakfast is fantastic practically anything you could think of for breakfast was there, from pancakes to porridge and full English to fresh pineapple! Would I return yes definitely!! My husband and I stayed at the Grand Sirenus Riviera Maya Nov. 30th thru Dec. 7th 2013. First thing we noticed upon arriving was how open it was. Just beautiful! We reserved a king and recieved 2 queen but they had a young man move them together and make it into a large king. Worked fine for us since my husband had a bad cold and cough. Our concierge Oscar noticed this right away when we checked in. After 2 days of not getting any better, Oscar offered to go to his neighborhood pharmacy and ask what inhaler would help my husband open his chest congestion. Next day he had the inhaler waiting for us in the VIP lounge. That is what I call going above and beyond your duties! Oscar you are the greatest! The resort was layed out to where you never felt crowded. Rooms were large and well stocked. No hard liquior but that was ok. We were in building 18, third floor. Most of the workers were very friendly. We spent most of our time at the quiet pool and the beach. We enjoyed the walks down the different paths to the restaurants. Nothing wrong with a little exercise! We ate at all but Mexican, French and Steak restaurants. They were all good! The buffet had great breakfast assortment. If someone couldn't find anything they liked then that person has a problem! I really dont have any real negatives because I now how hard these people at these resorts work for what they get paid. They are not our slaves! So don't treat them like it! Try saying "THank You" and a tip once and awhile. It will go a long way!.Some people forget how to enjoy vacation and dwell on all the negative they can find. GRAND SIRENIS YOUR GREAT! "Beautiful grounds, great shows, excellent value"
We just came back from spending a week here and had a great time. A great place for families. Found the staff friendly and eager to be of service. Our housekeeper Antonio, was outstanding. Our concierge, Christiane was warm, friendly and helpful, trying to track down our delayed luggage. Buffet food was not great, but there was always plenty to pick from. The Japanese ala carte restaurant was fun. Brazllian Steak House was a little disappointing. Beach area is small, so don't plan on going for long walks on the beach. Recommend Block 18 as it was very close to the pool, lobby area and center of the resort. "2nd visit can't wait to go back"
What a fantastic hotel, amazing friendly staff. Good food. The Spa is fantastic and well worth a visit Very special staff. Blanca in VIP lounge. Karen who makes sure you have a drink by the pool. The restaurant staff are very attentive and all eating areas are well serviced. All in all a great hotel and you won't regret a visit. "We love it here, multiple trips back"
We love it here, and have returned from our 5th time! My wife and family love the Grand Sirenis, and have just returned form a trip with my brother and his wife. we have travelled here with our kids twice, ourselves once, and friends twice and we have always had a great vacation. We have always had a great room, the cleaning staff is good, the concierges are on top of things. Any problems that have arisen have been dealt with in a timely manner. Every time we have come back there are changes to the property for the better. This time the food was above and beyond what we had experienced before hand. We have travelled all over the Caribbean and this resort just seems to be getting better each time! I liked it so much I joined the Sirenis Premium travellers group. I plan to return many times and also to enjoy their properties in the Dominican and Spain sometime in the future. "Another Excellent Vacation in the Riviera Maya." We just got back from a family vacation at the Grand Sirenis Riviera Maya and we all had a wonderful time. The hotel is really huge as everyone says on their reviews, try spending one day walking around and you will be amazed how many beautiful spots you can find. However, all the areas are always clean and spotless. The staff spend a lot of time cleaning the floors, glasses, pools, etc. Also, the gardens and really nice with a lot of flowers and exotic palms varieties. If you look in the hotel map, there is a botanic garden with great trees and flowers. We stayed in the Muuyal block (1800-1884) which I recommend to everyone. It is very close to the beach, pool, buffet restaurant, a la carte restaurants, theater, lobbies, etc. You can get to any place without walking big distances or waiting for the shuttle car. The rooms are really spacious. You could get one with king side bed or with one with two double beds. Each room has a four piece washroom with a really nice bathtub and lots of space. During the night time, the 18 block is very quiet The food at the buffet is very good, there is plenty to choose from. There is always a chef grilling any meat you want. Vegetables and fruit are always fresh. The service and attention is really good. A big thank you to Ronnie during the breakfast and lunch time and Hipolito during the dinner time for their services. They always made sure we had drinks on our table and our empty plates were always gone by the time we got back to our table. Since we were staying for only one week, we could only choose three a la carte restaurants. We had great dinners at the Stake House, the Italian and Brasilian restaurant being the Italian our favorite. It has a delicious salad and appetizer station. The snack bars are really good too. We usually had lunch in the one around the pool. Beto and Chucho do a great job around the pool. From 10:00 am to 5:00 pm they have everyone going and participating with all the pool games and water aerobics. Big thanks to them for the amazing job they do. The service around the hotel is top notch. All the staff is really polite and always looking after all the clients. They are always walking around the pool, beach, lobbies taking drink orders and bringing them to you with a big smile on their face. Please tip them, they work really hard and deserve some appreciation. 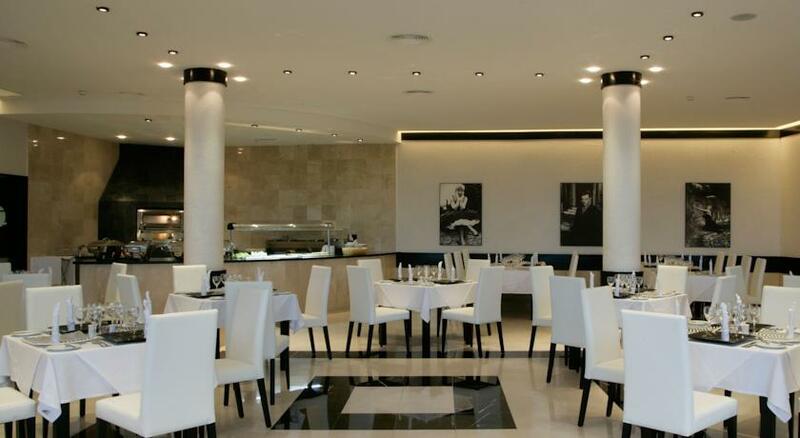 The a la carte restaurants are booked through the concierge of each building, they are also friendly. The beach is really beautiful, it has a lot big rocks creating 4-5 mini beaches. It is also perfect for pictures. There are plenty of chairs and palapas to enjoy the nice weather. There is also a Mayan ruin in the beach which you can easily get to it and even go inside. The pools are also really big with plenty of chairs. All the palapas have signs saying that it is forbidden to reserve chairs but nobody respect those signs. A big thank you to Frankie, one of the pool bartenders, he would make you really good drinks. Ask him for a tequila boom boom or a golden margarita. The lazy river is really nice, just be careful with the edges, the cement is a bit rough. The hotel has a lot of wild animals walking around. The staff encourage you to feed them. They are all very friendly. My favorite are the coates, everyday you can find them between Block 18 and 17 around 4:30 to 5:30 pm. They are a huge family and very friendly. They love bananas and bread. Also, the iguanas love to eat hot-dogs or sausages. There is also a female raccoon around the pool, she is friendly and has a small family to take care of. Around the hotel you can see a lot colorful butterflies and birds. There is also another small animal that looks like a small pig with no tail, they call it ceneque and love bread and bananas too. Overall, we had an amazing week and we would love to come back. I would recommend this hotel to anyone looking for a nice relaxing time. "Another perfect vacation at Grand Sirenis"
Just returned from Grand Sirenis in Akumal and, once again, the vacation was incredible! The resent is stunningly beautiful and everyone from the resort is great! I can't say enough good things about this resort. This was our third stay at Grand Sirenis and I can say with certainty that we will have many more. Great food, great service (especially DiDi (Anna), entertainment......all combined to make Grand Sirenis our favorite vacation destination! We love this resort and so we took 3 other couples along - and they all enjoyed it immensely. The restaurants, beaches, pools, bars, disco and staff are first class. But most of all we were impressed by the nightly shows - the entertainment was really good. We know the Mayan Riviera quite well so we showed our friends Akumal: swimming with the turtles and lunch at La Cueva Del Pescador, Tulum: visiting the ruins & beaches - a must see for photographers & Playa Del Carmen: for shopping, lunches at La Cueva Del Chango, El Fogon & La Trattoria Del Centro, drinks on the beach at Wah Wah's. "Great hotel, staff and service"
Just returned this week after 2 weeks at this resort. This was our first visit to mexico so first impressions were very important to us. And we were impressed! The whole holiday experience was fantastic and we were well looked after. Room was huge and cleaned every day. We reported a faulty balcony door and within 10 minutes a workman appeared to fix. Nothing is too much trouble for the staff our concierge was extremely helpful and very informative. our mini bar in the room is replenished every day. The food was excellent and enjoyed dining in the a la carte restaurants The pools were lovely and like everywhere around the resort kept very clean. I for one was so impressed my husband and i decided to join the members club and are looking forward to going back next year. . Went for a 21 day holiday again this year enjoyed it once again from 21 nov to 12 dec 2013 the food is as good as ever,the staff all brilliant,so friendly and helpful,always a smile and a hola for everyone.the a la carte restaurants are great particularly steak house and Cajun .if you like lots of meat the Brazilian is very good too.the rooms are kept to a very high standard ,fridge we'll stocked ,abundance of bath towels ,and beds clean bedding every day wow.there is a concierge on every block to help you book your a la carted and sort out any problems you may have.the pool areas are very good,one noisy pool swim up bar and games each day if you want to join in,if not a huge quiet pool is very close as are all amenities,and beach is lovely.see turtles swimming,feed the fish (they love bananas. )raccoons and coatis abound as do iguanas they look so cute.went to this resort October 2012 liked it so much went back again this year,I was amazed to find lots of them remembered me and my hubby ,nice eh .gents don't forget your long trouser you need them for a la cartes.loved it so much will def go back again next year . Regular Rate $ 2297 . Today Only $590!